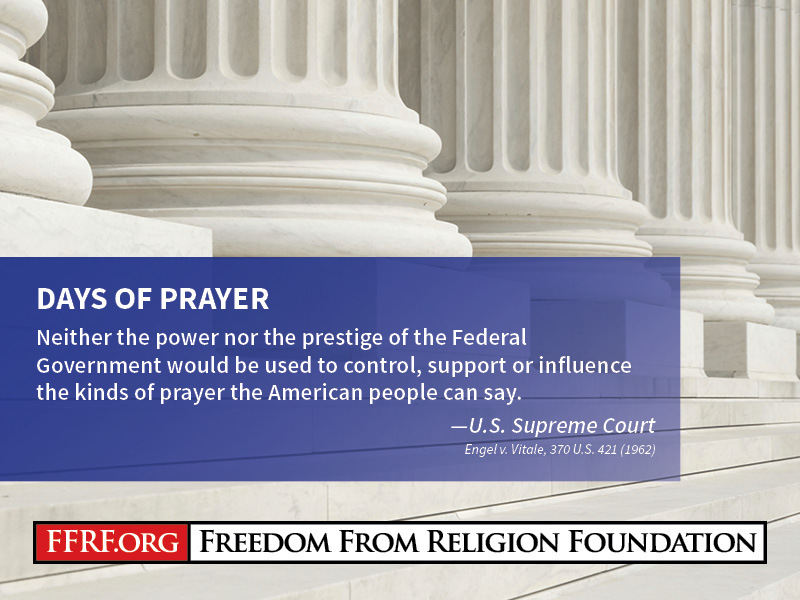 The national Freedom From Religion Foundation and the ACLU of Florida are greeting with approval a revision of a proclamation that had promoted prayer by city officials in Kissimmee, Fla. The ACLU of Florida and its Central Florida Chapter, along with FFRF’s chapter, the Central Florida Freethought Community, have additionally announced they will be presenting a proclamation and presentation on the importance of the Establishment Clause and the separation of state and church to the city commission on Tuesday, Sept. 4. Following several letters including a joint letter and open records request filed by both groups, the city of Kissimmee has announced it’s issuing a “corrected proclamation for 40 days of celebration of life, love and family.” The original proclamation “invite[s] all residents to join them in this celebration by praying.” A call to prayer event for Aug. 21 was also announced with the appearance of city sponsorship or endorsement. The city has just issued a press release noting that it had “presented various members of the regions faith-based community” with the proclamation, initiated by members of Decretos, Inc. The city said it was not their intention that the “city officials’ actions and comments were interpreted as promoting a religious message and advancing religion over nonreligion.” The city also properly distanced itself from the prayer event in a city-owned park, saying that it is not a sponsor and has not used city resources to promote one religion over another. FFRF’s original letter to the city noted that most of the proclamation was secular and even laudable, but should not have included language promoting prayer and excluding nonbelievers.